K1 Fiance(e) Visa is a non-immigrant visa for foreign citizens who would like to marry an American citizen and reside permanently in the U.S.
An American citizen, on the other hand who has a foreign fiance(e) who stays outside the U.S and if they plan to get married in the U.S., he/she can obtain a fiancé(e) for his/her foreign fiancé(e). The foreign fiancé(e) can bring along his/her children by filing an application for a K-2 derivative visa. 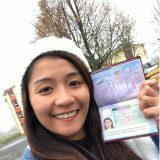 You and your fiancé(e) are legally eligible to marry under the laws of your country as well as the laws of the U.S.
You will marry the petitioning U.S. citizen within 90 days of entering the U.S.
Once the USCIS approves of the petition, it forwards the file to the National Visa Center (NVC), who completes the initial processing for the K1 Visa. 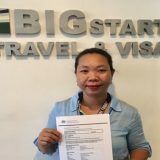 Once that is completed the NVC forwards the file to the American Consulate where you will be applying for the K1 visa. 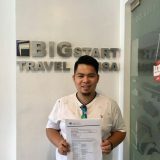 http://www.bigstartvisa.com/services/k1-visa/ http://www.bigstartvisa.com/services/k1-visa/The petition is valid for a period of four months from the date of USCIS action, and may be revalidated by the consular officer.